Claim Your Independence Against High Prices With These Top 4th of July Savings! Independence Day is rapidly approaching and American families are looking forward to a fun-filled day with friends and family. Whether you're celebrating at the beach or in your backyard, now is the time to stock up on savings before your 4th of July bash. 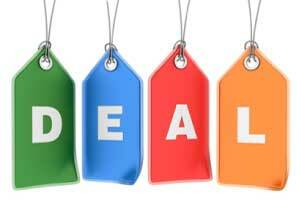 Consider these offers and more from FreeShipping.org and enjoy the freedom of not paying full price. Take $30 off purchases of $100 or more through July 8 with code 4THSALE. Get 20% off any order through July 5 with promo code JULY2012. Save 15% on your purchase of $100 or more through June 30 with code USA15OFF. Receive 30% off the American Collection through July 4. Get free shipping when you spend $100 or more through July 8 with promo code 12SHIP. Take up to 40% off everything during the Buy More, Save More event through July 4 with code FIREWORKS. Click here to receive free shipping on orders of $30 or more through July 18. Get free shipping on orders of $49 or more, plus take 20% off bedding and bath items through July 5 with code WHITESALE. Take 15% off orders of $60 or more through July 4 with code FFJULY4TH. Grab this exclusive coupon code to get free shipping on all orders from Bluefly through July 5. Enjoy up to 60% off 4th of July Web specials through July 5. Take up to 50% off select sunglasses through July 4 during the American Dream Sale. Follow this link and save up to 33% on select Fourth of July Gifts through July 9. Save 10% off orders of $35 or more that include a red, white and blue category item with code PATRIOT. Get free shipping on orders of $75 or more, plus take 20% off your purchase through July 5 with code FIREWORKS. 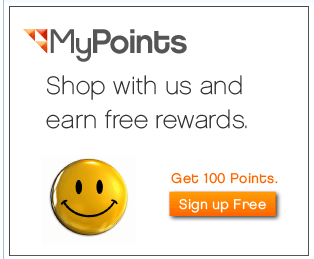 Start Saving Money and Discovering Coupons and Deals with the Online Shopping Rewards Leader: MyPoints.com!